Menstrual cycles or periods put forth a number of health challenges for women. For some, the symptoms are unnoticeable while for some it is very difficult to get past that phase every month. Pre menstrual syndrome is the initial phase where women face a number of symptoms prior to the start of their menstrual cycle: mood swings, back pain, irritability, bloating, flu-like symptoms, etc. Even during menses heavy bleeding, irregular cycles, malaise and body ache, gastric symptoms make it quite tiresome for some women. Menses are a part of women’s health but that does not mean it does not require medical attention. The goal of the current treatment is to reduce the symptoms faced during menses. Non-steroidal anti-inflammatory drugs are given to help with the pain, hormonal pills to help regulate menses and normalize bleeding and also medications that help with gastric symptoms are administered. Turmeric is a spice used in Indian and Asian cuisine. It has an orange-yellow color which is attributed to the presence of curcuminoids. Curcuminoids are antioxidants present in turmeric. Curcumin, the principal curcuminoid, has a number of pharmacological properties that could be of help during menses. How could turmeric benefit in menstruation? Here a few ways by which turmeric acts and could help in relieving or reducing symptoms that occur during menses. A premenstrual syndrome is a number of physical and emotional symptoms occurring prior to menses. Emotionally women can feel irritable, experience mood swings and depression; some also have uncontrolled rage. Physically the symptoms could include headache, flu-like symptoms, bloating, muscle ache, back ache, etc. 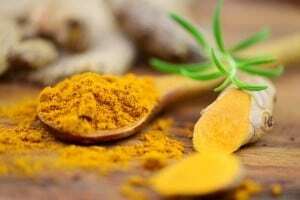 A clinical trial was conducted wherein individuals suffering from a premenstrual syndrome where some received curcumin while some received placebo. Two capsules were given twice a day for seven days before menstruation and three days after the cycle. This treatment was conducted for 3 consecutive cycles. Curcumin by virtue of its anti-inflammatory property helped with the pain occurring in PMS and also modulated brain chemicals and thus alleviated mood changes and depression. Reduction in the score for severity of PMS in curcumin group was by 59 points and in placebo group was around 14 points. Researchers concluded that curcumin can significantly reduce the severity of PMS. Curcumin helps in reducing severity of premenstrual syndrome by regulating brain chemicals- neurotransmitters and reducing inflammation. Thereby it attenuates pain and mood changes occurring in PMS. This helps in reducing pain since these enzymes are also involved in pain sensation. Animal studies show that curcumin acts as a natural painkiller and also works in combination of painkiller, diclofenac. The analgesic or painkiller activity of Meriva, a specialized formulation of curcumin, is found to be comparable to that of anti-inflammatory drugs like acetaminophen and nimesulide. Another benefit of turmeric’s analgesic activity is that it does not cause gastric side effects like regular painkillers. Turmeric’s natural painkilling activity can help in the malaise, muscle ache and generalized body ache associated with menstruation. It has an added benefit over the non steroidal anti-inflammatory drugs- turmeric does not cause gastric erosion or any other side effect. Zava et al have included turmeric in top six herbs that have components that bind to estrogen and progesterone receptors (proteins to which female hormones bind and bring about pharmacological effect). This suggests its use in female healthcare. Curcumin is a mild phytoestrogen- a plant source of estrogen. As per the traditional medicinal system, turmeric is considered as an emmenagogue. It can stimulate uterine bleeding. There has been no study to prove this, but if this would be proven then turmeric could serve as a natural aid in regularizing menses. 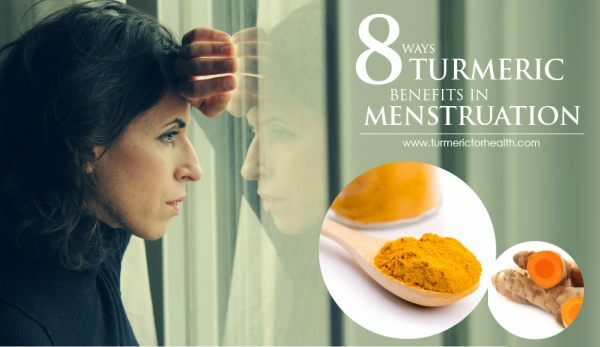 Traditionally turmeric has been used to treat amenorrhea-absence of menstrual cycles. Having said this, I have to mention that there are a few anecdotal pieces of evidence that suggest that taking turmeric can even reduce a heavy flow during menses. More research is required to understand the phytoestrogenic activity as well as the emmenagogue nature of turmeric. Turmeric possesses estrogenic activity and traditional medicine suggests that it can stimulate uterine bleeding. This could be of help in regularizing menstrual cycle and normalizing flow. Despite of turmeric’s property of stimulating uterine bleeding, some have experienced a reduction in heavy flow on taking turmeric. Due to its uterine stimulating properties, it is advised to avoid turmeric in pregnancy. However Asian women continue to use turmeric in diet even during pregnancy. Menstrual cramps or abdominal ache is the most common symptom presented during or prior to menses. Turmeric and curcumin as anti-inflammatory agents combat pain by reducing the production and inhibiting the activity of inflammatory agents which also play a major role in pain perception. 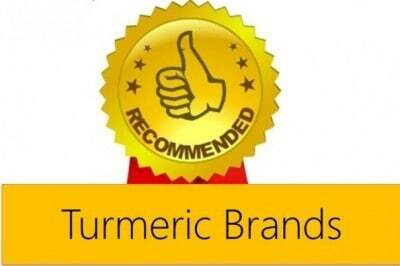 An animal study was conducted to understand the anti-spasmodic effect of turmeric. Contractions in the uterus and intestine were induced by external agents. High doses of curcuminoids were found to inhibit contractions and relax the smooth muscles of intestine and uterus. It can be inferred that curcuminoids administration can help in spasmodic pain occurring in the stomach and uterus. Curcuminoids’ anti-spasmodic activity can reduce the severity of menstrual cramps. A premenstrual dysphoric disorder is a condition in which women face severe depression, irritability, and mood swings prior to menstrual cycles. Hormonal changes do tend to influence the mood. A couple of recent studies suggest that curcumin has anti-depressant activities and can help in reducing symptoms of the major depressive disorder. Animal studies show that curcumin modulates brain chemicals and improves antioxidant defences to curb anxiety-like symptoms. 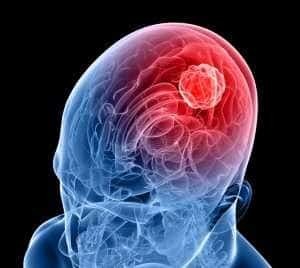 Curcumin also reverses the undesirable effects caused by stress and improves cognition. Brain-derived neurotrophic factor (BDNF) is a protein that is involved in learning and memory. A study reported that when women suffering from PMS were treated with curcumin, their BDNF levels were high and the PMS related mood symptoms were low. PMS is characterised with severe mood related changes and depression like symptoms. Curcumin can attenuate mood swings, depression and anxiety related symptoms occurring in PMS. 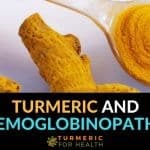 For more details on this read Turmeric for Endometriosis. Uterine fibroids are non-cancerous growth in the uterine lining and can cause prolonged menstrual cycles. Curcumin is proven to inhibit the proliferation and growth of uterine fibroid cells. A polycystic ovarian syndrome is a condition characterized by cysts in the ovary and irregular or absence of menses. Turmeric can help in conditions like endometriosis, uterine fibroids and PCOS which tend to cause irregular or heavy menses. Prior to menses or even during menstruation, women experience bloating, belching, acidity, etc. 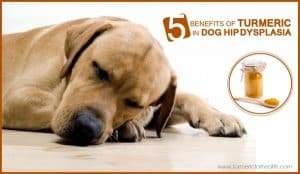 Additionally taking non-steroidal anti-inflammatory drugs to reduce the pain and malaise further exacerbates stomach acidity. Review studies suggest that curcumin has sufficient therapeutic potential when it comes to a digestive disorder. 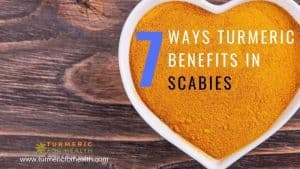 A clinical trial demonstrated that administering turmeric extracts to individuals suffering from indigestion and flatulence improved their health within 7 days. Around 87% of the individuals receiving the treatment showed a positive response. Curcumin also inhibits the development of ulcer formation as a result of hyperacidity and reduces gastric inflammation by inhibiting H.pylori infection (a bacterium that contributes to excessive stomach acid). Due to its gastroprotective action, curcumin can help alleviate gastric symptoms like bloating, belching occurring during or prior to menstrual cycles. Menstruation increases your risk to develop infection. 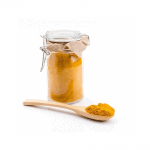 Turmeric is a broad spectrum anti-microbial agent. Women tend to develop Candida infection prior to menses or even after it. Curcumin is a proven anti-Candida and anti-fungal agent. Menstrual toxic shock syndrome is an infectious serious condition occurring as a result of prolonged use of tampons. Animal study shows that turmeric can inhibit growth of bacteria that cause menstrual toxic shock syndrome. Turmeric as an anti-microbial agent can serve as a protective measure against Candida infection, menstrual toxic shock syndrome and other infections. Turmeric in diet is absolutely safe. About ½ to 1 teaspoon of turmeric powder with a dash of black pepper and/or healthy fats (coconut oil or olive oil) should do the trick. 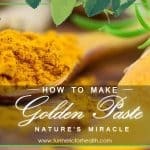 One of the best ways to take turmeric is The Golden Paste. You can directly consume it or add it to your salads, smoothies, rice preparations, soups etc. 1-2 teaspoons of Golden Paste 2-3 times a day is therapeutic. 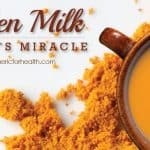 Another delicious way to take turmeric is Turmeric Milk. You can find some good recipes with turmeric here. 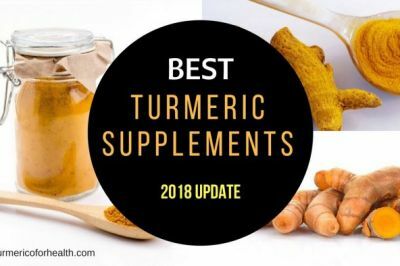 If you need help identifying good supplements or organic turmeric powder, check this resource. Traditionally turmeric is used to treat amenorrhea (absence of periods) and hence it is thought that it can stimulate menses. 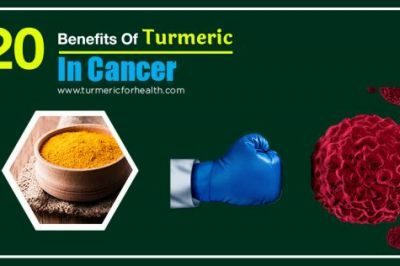 If this is the case then it should be avoided in case you suffer from heavy flow; but some individuals suffering from heavy bleeding actually benefit from turmeric. It is best to avoid turmeric supplements during menses; turmeric in diet is safe. 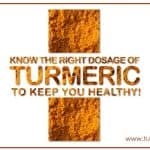 Consult a health practitioner before starting on turmeric supplements. Menstrual cycles, though a part of each woman’s life, can present with some symptoms that are difficult to endure. Treatment directed towards ameliorating the symptoms such as NSAIDs, antidepressants, hormonal pills can pose side effects. Turmeric works as a natural aid in reducing menstruation related symptoms- be it mood swings or unbearable pain or irregular or abnormal bleeding. Also it does not cause side effects. Making turmeric a part of your life can provide long term relief not only in case of menses but any other health related aspect of your life. Hi, I have heavy and painful periods with huge blood clots. 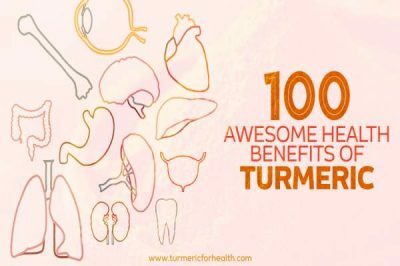 Does drinking tumeric helps? And what is the best time to take tumeric drink? And should I stop drinking it when during periods? Thanks! Hi. You can consume turmeric tea. You can also consider taking Golden Paste. Start with small doses such as 1/4-1/2 tsp and if you see no side effects then increase the dose gradually to 1 tsp 2-3 times a day over a few weeks. Best taken with food to avoid acid reflux. Avoid taking it at the same time when you take meds. 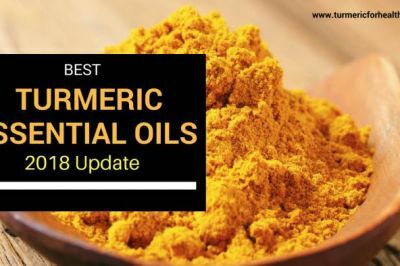 While there is no data that indicates that one should avoid turmeric during menstruation, some individuals do report increased flow while taking turmeric during periods. So you may stop drinking turmeric tea during the periods. Hi I’ve been having irregular menstrual cycle for almost 2yrs now… Will turmeric solve it for me? Thank you. Hi. 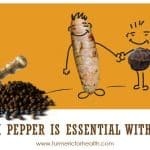 Turmeric is found to be useful in disorders related to menstrual health as it relieves inflammation, pain and many readers have reported that it regularizes menstrual cycle. It depends what factors are causing irregular cycles. If it is stress or PCOS, turmeric is likely to help. Please consult your health practitioner about the same. Hi, I have been drinking turmeric (1tbs+black pepper+flax seed oil+water) for several years, but a few months ago I had my hormone coil removed and my periods have, since then, been much closer and heavier than I remember them being from prior coil. On the other hand I have absolutely no stomach aches or anything. 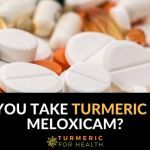 Could it be a good idea to pause or limit the turmeric intake during the actual period? I’m 45. Thanks! Hi. Dietary turmeric should not cause any interactions with oral contraceptives. In case you are using supplements please keep a gap of 3-4 hours between consuming the two. Traditional medicine suggests that turmeric can cause menstrual bleeding especially in case of amenorrhoea. It is highly unlikely that turmeric in diet should cause excessive uterine bleeding. 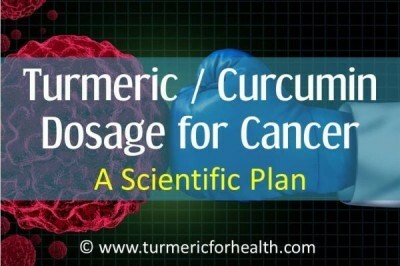 You can discontinue turmeric and see if the condition improves. Also it is advisable to consult a doctor about this. Turmeric is found to help regularize menstrual cycle in PCOS, as reported by readers. However we can’t predict it’s action; the effect would differ with every individual. We would suggest consulting a health practitioner about this. 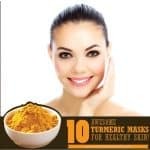 As an Indian women, Turneric powder had been in my diet daily, But I started to experiment with time Turmeric root. I blend a piece of turmeric root with flax oil, black pepper, lemon juice and a little water and drink it daily. 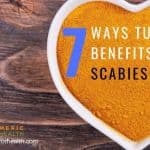 I also chop trmueic root and put them in some foods I cook. I have noticed that my menstural pain goes away with in 10 mins or so after consuming turmuric drink. My upper back pain has also reduced significantly. That is great!Thank you sharing this. Hi, I have been diagnosed with uterine fibroids and ovarian cyst thus making my menses irregular and painful. Since I started taking the tumeric tea, period is normal but very heavy. Usually suffer from swollen feet which doctor say is due to circulation, since on the tumeric, the swelling is actually getting less, some days no swelling at all. Hi. Glad to know that turmeric helps you. As you mentioned that menstrual bleeding is heavy but normal since you started drinking turmeric tea, try cutting down on the amount of turmeric used to make the tea or cut down on the consumption to see if it helps. Also consult a health practitioner for other treatment options for your health condition which might be necesssary. Please tel me how to consume it ? ?is it enough that a teaspoon of turmeric powder is added to hot water??? Hi, i’ve been drinking tumeric tea for about a month and this time around my period is abnormally long. Its been 2 weeks and still going. I am not sure this is because of the tumeric teA. Hi. In that case please discontinue the use of turmeric tea or limit the amount of turmeric consumed. hi its been 3 months since ive never get in to my monthly period..this time i am afraid,and im started drinking turmeric for about almost 3 weeks. i dont know how does it take a long time to wait. and i dont know what to do. do i need to continue doing this treatment? Hi. Many readers have reported that turmeric benefits in regulating menstruation. 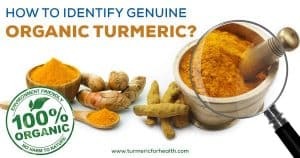 Dietary turmeric as turmeric tea should help but we can’t predict as to how long you should continue the treatment. Turmeric is a spice and can be taken for life. You can consult a herbalist or naturopath about this. What are the causes of absent periods for this lady? I’m trying to verify amounts. 1) For pain and inflammation during menstrual cycles, drinking a cup of preferred tasting tumeric milk recipe a day with 1 tsp of tumeric in it, as long as it has 1 tsp or 1 Tbs of coconut oil or olive oil or ghee in it will help? Please correct the amount of oil and also if f ghee is not advised as a healthy fat. 2) Is it ok to drink a cup during the cycle? You stated not to take supplements during the cycle. This would just be ground tumeric powder in a milk recipe by one of your recommended sellers. 3) If needed during the cycle, can a 2nd cup with another 1 tsp of tumeric be taken? My daughters and I get terrible cramps, body aches and inflammation during our cycles. We’ve been taking ibuprofen for years, but it has begun to not work consistently and I also have just had concerns of newly publicized side effects. Hi. Yes ghee is a healthy fat and 1 tsp of oil should be sufficient. 1 cup of turmeric milk is absolutely fine during menstrual cycle. But we would suggest 1/2 a tsp of turmeric powder; this actually depends on your body because some people face no issues with turmeric and menstrual bleeding and some do experience increase in bleeding. Women in India continue consuming dietary turmeric even during cycles. And yes you can consume a second cup as well for pain relief but limit to 1/2 tsp in second cup. Start with 1/2 tsp for each cup initially for a first days of the cycle and then increase to 1 tsp. Hi can I ask If Turmeric is really Helpful for Regulating menstruation/ Irregular Period? I’ve been drinking Turmeric With Milk almost a week but my menstruation is not coming yet..
Hi. Dietary turmeric is good for regularizing menstrual cycles and would be working towards improving your health. But we can’t comment on when you would see the effect. 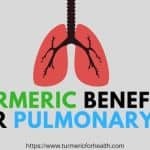 You may consider using turmeric supplements but if you have missed more than 2 cycles it is best to consult a doctor about this.